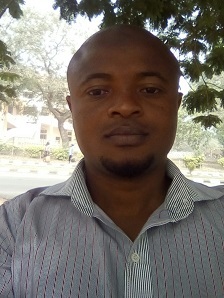 Dr. AYELOJA, Ayodeji Ahmed was born at Abeokuta, Ogun State on April 26th, 1981. He attended St. John’s Primary School Kuto Abeokuta for his primary education and Abeokuta Grammar School for his secondary education. He proceeded to Federal College of Education, Abeokuta where he studied Integrated Science/Integrated Science at NCE level and he graduated with upper credit after which he studied Aquaculture and Fisheries Management at the University of Agriculture Abeokuta for his first Degree, Masters Degree and Ph D.
Ag. Head of Department, Fisheries Technology Department, Federal College of Animal Health and Production Technology, Moor Plantation, Ibadan. Oyo State, Nigeria. Branch Chairman, Academic Staff Union of Polytechnic (ASUP), Federal College of Animal Health and Production Technology Ibadan, Oyo State Nigeria. Member Quality Assurance Committee, Federal College of Animal Health and Production Technology Ibadan. Member Vocational Training Committee, Federal College of Animal Health and Production Technology Ibadan. Head Fisheries Processing Unit, Fisheries Technology Department, Federal College of Animal Health and Production Technology Ibadan. Facilitator, Vocational Training Programme, Federal College of Animal Health and Production Technology Ibadan, Oyo State Nigeria. Chairman Organizing Committee, Fish Farmers Forum, Fisheries Technology Department, Federal College of Animal Health and Production Technology Ibadan, Oyo State Nigeria. Branch Publicity Secretary, Academic Staff Union of Polytechnic (ASUP), Federal College of Animal Health and Production Technology Ibadan, Oyo State Nigeria. He now lectures at the Department of Aquaculture and Fisheries, Faculty of Agriculture, University of Ilorin. He is in charge of Self-Study Form (SSF) for the accreditation of B. Aquaculture and Fisheries; he is also a member of Welfare Committee of the Department. He has taught several courses at both Monotechnic and University levels. He has to his credit 22 Published Journal Articles, and 15 Articles in Edited Book of Proceedings. He has attended 6 Workshops, Conferences, Seminars and Training.